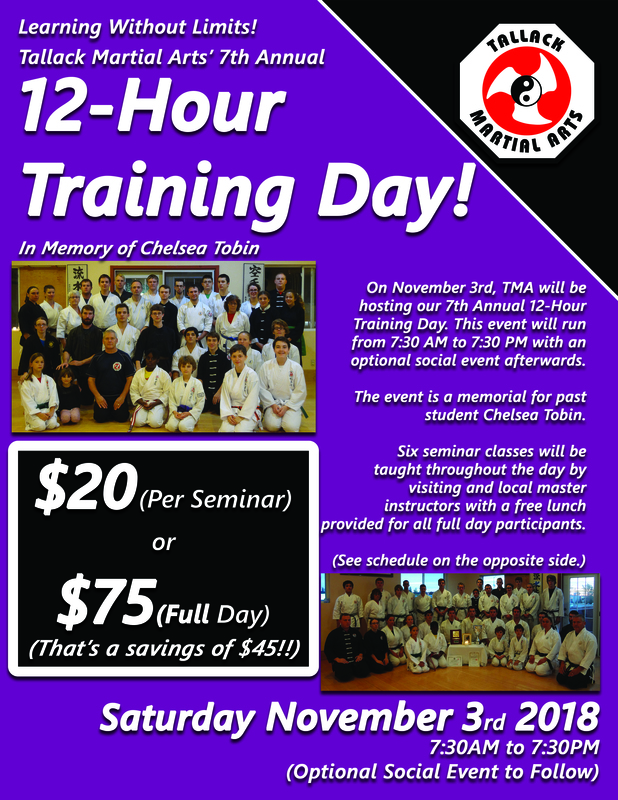 Our finalized event poster, instruction schedule, and registration forms for our upcoming 12-Hour Training Day on Saturday November 3rd! 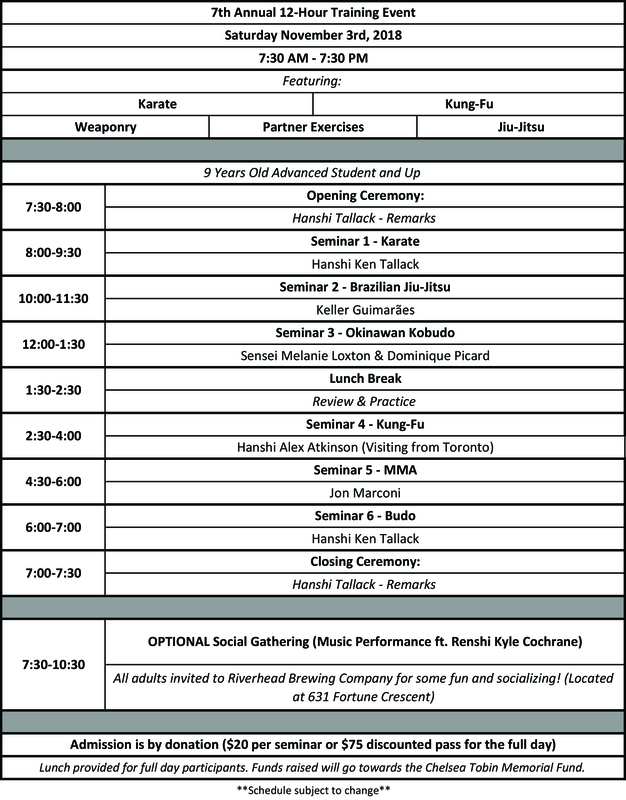 It’s going to be another great event with some world class instruction by local and visiting master instructors in their respective disciplines! 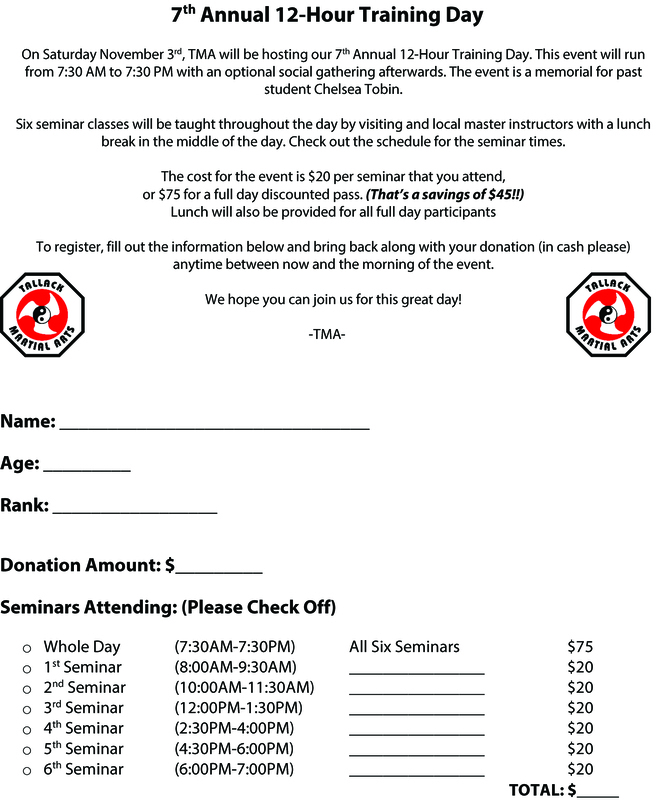 See you all at the dojo on Saturday the 3rd from 7:30 AM to PM and then also join us for the social gathering afterwards featuring instructor Kyle Cochrane’s band Stereo Nights at nearby Riverhead Brewing Company!